Once again I’d like to welcome guest blogger Peter Li. Peter wrote about Matlab Mex in-place editing last month. Today, Peter pokes around in Matlab’s internal memory representation to the greater good and glory of Matlab Mex programming. Disclaimer: The information in this article is provided for informational purposes only. Be aware that poking into Matlab’s internals is not condoned or supported by MathWorks, and is not recommended for any regular usage. Poking into memory has the potential to crash your computer so save your data! Moreover, be advised (as the text below will show) that the information is highly prone to change without any advance notice in future Matlab releases, which could lead to very adverse effects on any program that relies on it. 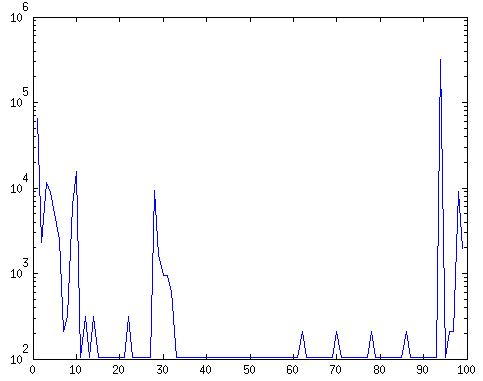 On the scale of undocumented Matlab topics, this practically breaks the scale, so be EXTREMELY careful when using this. A few weeks ago I discussed Matlab’s copy-on-write mechanism as part of my discussion of editing Matlab arrays in-place. Today I want to explore some behind-the-scenes details of how the copy-on-write mechanism is implemented. In the process we will learn a little about Matlab’s internal array representation. I will also introduce some simple tools you can use to explore more of Matlab’s internals. I will only cover basic information, so there are plenty more details left to be filled in by others who are interested. Copy-on-write is Matlab’s mechanism for avoiding unnecessary duplication of data in memory. To implement this, Matlab needs to keep track internally of which sets of variables are copies of each other. As described in MathWorks’s article, “the Matlab language works with a single object type: the Matlab array. All Matlab variables (including scalars, vectors, matrices, strings, cell arrays, structures, and objects) are stored as Matlab arrays. In C/C++, the Matlab array is declared to be of type mxArray“. This means that mxArray defines how Matlab lays out all the information about an array (its Matlab data type, its size, its data, etc.) in memory. So understanding Matlab’s internal array representation basically boils down to understanding mxArray. Unfortunately, MathWorks also tells us that “mxArray is a C language opaque type“. This means that MathWorks does not expose the organization of mxArray to users (i.e. Matlab or Mex programmers). Instead, MathWorks defines mxArray internally, and allows users to interact with it only through an API, a set of functions that know how to handle mxArray in their back end. So, for example, a Mex programmer does not get the dimensions of an mxArray by directly accessing the relevant field in memory. Instead, the Mex programmer only has a pointer to the mxArray, and passes this pointer into an API function that knows where in memory to find the requested information and then passes the result back to the programmer. This is generally a good thing: the API provides an abstraction layer between the programmer and the memory structures so that if MathWorks needs to change the back end organization (to add a new feature for example), we programmers do not need to modify our code; instead MathWorks just updates the API to reflect the new internal organization. On the other hand, being able to look into the internal structure of mxArray on occasion can help us understand how Matlab works, and can help us write more efficient code if we are careful as in the example of editing arrays in-place. So now we know where to find our array in memory. With this information we can already learn a lot. To make our exploration a little cleaner though, it would be nice to know where the array ends in memory too, in other words we would like to know the size of the mxArray. The first thing to understand is that the amount of memory taken by an mxArray does not have anything to do with the dimensions of the array in Matlab. So a 1×1 Matlab array and a 100×100 Matlab array have the same size mxArray representation in memory. As you will know if you have experience programming in Mex, this is simply because the Matlab array’s data contents are not stored directly within mxArray. Instead, mxArray only stores a pointer to another memory location where the actual data reside. This is fine; the internal information we want to poke into is all still in mxArray, and it is easy to get the pointer to the array’s data contents using the API functions mxGetData or mxGetPr. So we are still left with trying to figure out the size of mxArray. There are a couple paths forward. First I want to talk about a historical tool that used to make a lot of this internal information easily available. This was a function called headerdump, by Peter Boetcher (described here and here). headerdump was created for exactly the goal we are currently working towards: to understand Matlab’s copy-on-write mechanism. Unfortunately, as Matlab has evolved, newer versions have incrementally broken this useful tool. So our goal here is to create a replacement. Still, we can learn a lot from the earlier work. This is what you could call murky or obfuscated, but not completely opaque. The fields mostly have unhelpful names like “reserved”, but on the other hand we at least have a sense for what fields there are and their layout. * for Matlab 2006b or 2007a, but the important things are. Thanks to Peter Boettcher. For comparison, here is another definition from an earlier version of Matlab. I took this R11 definition from the source code to headerdump (specifically, from mxinternals.h, which also has mxArray_tag definitions for R12 (Matlab 6.0) and R13 (Matlab 6.5)), and you can see that it is much more informative, because many fields have been given useful names thanks to the work of Peter Boetcher and others. Note also that the definition from this old version of Matlab is quite different from the version from R2010a. At this point, if you are running a much earlier version of Matlab like R11 or R13, you can break off from the current article and start playing around with headerdump directly to try to understand Matlab’s internals. For more recent versions of Matlab, we have more work to do. Getting back to our original goal, if we take the mxArray_tag definition from R2010a and run sizeof, we get an answer for the amount of memory taken up by an mxArray in R2010a: 104 bytes. It was nice to derive the size of mxArray from actual MathWorks code, but unfortunately this information is no longer available as of R2011a. Somewhere between R2010a and R2011a, MathWorks stepped up their efforts to make mxArray completely opaque. So we should find another way to get the size of mxArray for current and future Matlab versions. we find that although mxArray has gone completely opaque from R2010a to R2011a, the full size of mxArray in memory has stayed the same: 104 bytes. And there you have it: the inner guts of mxArray laid bare. I have printed each byte as a two character hexadecimal value, as is standard, so there are 16 bytes printed per row. In this and subsequent examples, I will highlight bytes that are different or that are of interest. What we can see from this example is that although arrays A and B have different content, almost nothing is different between their mxArray representations. What is different, is the memory address stored in the highlighted bytes. This confirms our earlier assertion that mxArray does not store the array contents, but only a pointer to the content location. Two interesting results here: The first highlighted region changed from 02 to 03, so this must be the place where mxArray indicates a 3-dimensional array rather than 2D. Another important thing also changed though: we can see in the second highlighted region that there is a new memory address stored where we used to find the number of rows. And in the third highlighted region we now have the number 09 instead of the number of columns. Clearly, Matlab has a different way of representing a 2D matrix versus arrays of higher dimension such as 3D. In the 2D case, mxArray simply holds the nrows and ncols directly, but for a higher dimension case we hold only the number of dimensions (03), the total number of elements (09), and a pointer to another memory location (0x7f6fdf3f4a30) which holds the array of sizes for each dimension. What we see is that by setting B = A, we change the internal representation of A itself. Two new memory address pointers are added to the mxArray for A. As it turns out, both of these point to the address for array B, which makes sense; this is how Matlab internally keeps track of arrays that are copies of each other. Note that because byte order is little-endian, the memory addresses from printmem are byte-wise, i.e. every two characters, reversed relative to the address from printaddr. As I have highlighted, there are two interesting points here. First the red highlights show that array B has pointers back to array A. Second the blue highlight shows that the Matlab data for array B actually just points back to the same memory as the data for array A (the values 1:10). So it turns out that Matlab keeps track of a set of linked variables with a kind of cyclical, doubly-linked list structure; array A is linked to B in the forward direction and is also linked to C in the reverse direction by looping back around, etc. The cyclical nature of this makes sense, as we need to be able to start from any of A, B, or C and find all the linked arrays. But it is still not entirely clear why the list needs to be cyclical AND linked in both directions. In fact, in earlier versions of Matlab this cyclical list was only singly-linked. Obviously there is a lot more to mxArray and Matlab internals than what we have delved into here. 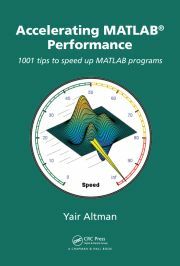 Still, with this basic introduction I hope to have whet your appetite for understanding more about Matlab internals, and provided some simple tools to help you explore. I want to reiterate that in general MathWorks’s approach of an opaque mxArray type with access abstracted through an API layer is a good policy. The last thing you would want to do is take the information here and write a bunch of code that relies on the structure of mxArray to work; next time MathWorks needs to add a new feature and change mxArray, all your code will break. So in general we are all better off playing within the API that MathWorks provides. And remember: poking into memory can crash your computer, so save your data! On the other hand, occasionally there are cases, like in-place editing, where it is useful to push the capabilities of Matlab a little beyond what MathWorks envisioned. In these cases, having an understanding of Matlab’s internals can be critical, for example in understanding how to avoid conflicting with copy-on-write. Therefore I hope the information presented here will prove useful. Ideally, someone will be motivated to take this starting point and repair some of the tools like headerdump that made Matlab’s internal workings more transparent in the past. I believe that having more of this information out in the Matlab community is good for the community as a whole. Thanks for this nifty bit of detective work. You wondered why the cycle of identical arrays is stored as a doubly linked list. My guess is that it is probably done for time-efficiency. Suppose for some reason you create a million copies of a single array, and then modify a single one. In order to re-close the loop, you would have to iterate over the entire cycle to get both loose ends. With a doubly-linked list this can be done in constant time. Thanks Laurens. Yes what you say makes sense. For some reason I was thinking about this in terms of traversing the cycle, but of course when we modify one element we must delete it from the cycle and that is the operation where the double linking will save you time (if your cycle is irrationally large :)). In fact I have something like headerdump which works well with recent versions of MATLAB. I created it in order to reverse-engineer the internal representation of mxArray. My original motivation for doing this was to be able to track MATLAB’s memory allocation for big arrays because I’m on a NUMA system and I wanted to be able to check/enforce that often used variables reside on node-local memory. creates 100 doubly-linked instances of mxArray (sharing the same data — a 200×200 matrix) for the entries of x, but in fact there will be only one mxArray with a reference count set to 100. If there’s sufficient interest I could imagine sharing my code (after some cleanup). Maybe I could also write a blog post similar to this one, but digging deeper into the internals (as far as I managed to understand them). I’m not aware of any more up-to-date write-up of this however. I would be particularly interested in better understanding how this interacts with mxUnshareArray and other copy-on-write mechanisms, some of which Benjamin’s article goes into. If my goal here was successful, perhaps you will find some of the simple tools here useful either in your investigations or else just in demonstrating your findings succinctly. ‘set’ is called for the indexed assignment, with an argument ‘s’ which is a ‘copy’ of This.array with exactly one element that is different. I was wondering Matlab could implement this sort of thing with a basic Copy on Write without causing some terrible inefficiencies. But reading the above I see that a more sophisticated COW could work reasonably. First of all, I wish to congratulate you for the excellent work done with this “Undocumented Matlab” portal. There are lots of things actually undocumented in Matlab and that need to be clarified. Currenlty, I am an engineer student that is working with coders (H.264-HDTV) and therefore working at the bit level with Matlab. Bit level operations and specially algorithms that demand to consider byte alignments are quiet difficult in order to improve speed. While reading this article I was animated to consider to “break” Matlab’s FILE structure. Matlab has an option in the fread function to consider bit reding called “ubit”. This property is not seen in C, nor C++, nor in Octave. I wanted to ask all the persons involved in this blog if you believe that there is a special pointer “hidden” in Matlab’s “fread” structure in order to save the bit position. This is a topic that I been trying to discover in the last months and where I was not able to find information. If you could know something about this, I will appreciate your help. Once more, congratulations for the great work done. Starting the reversing work from the address returned by mxGetData caused some of the interesting mxArray fields to be missed (eg classID). I recently uploaded a similar work of mine to github, hopefully it adds value to anyone trying to watch mxArray’s (at least from visual studio).